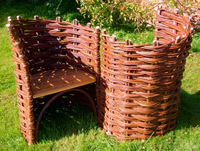 Using willow, we will weave a variety of different garden items, from plant supports to border hurdles. We use common osier (Salix Viminalis) to make woven hurdles, a traditional craft product which now find a place in gardens and other green spaces as fencing panels. In this one day course, we use this material to make a selection of different products. 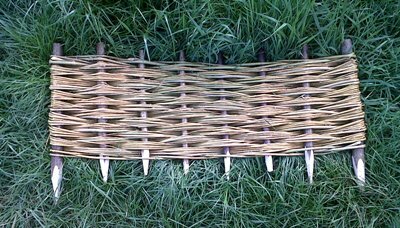 We will be looking at basic weaving techniques to make small border hurdles and even more basket like structures as well as using more 'sculptural' techniques to create attractive supports for climbing plants. 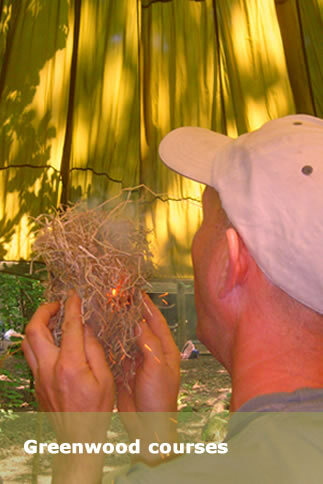 There are other options available, on the same day, you can focus just on hurles, an learn about creating in situ woven fences, or create a circular 'compost bin' or dustbin 'shroud'. Our beautiful two piece love seat can be completed by one person over 2 days or come with your 'significant other' and make a half each in a day. Due to the large amount of raw materials consumed on this course, the inclusive fee is a little higher than on other days.